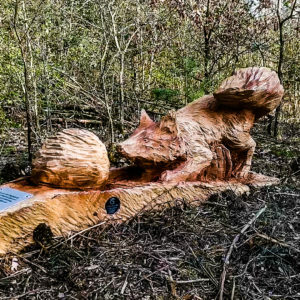 Last week saw Simon travel down to London to install the sculpture trail in Page’s Wood that we featured in our blog two weeks ago. 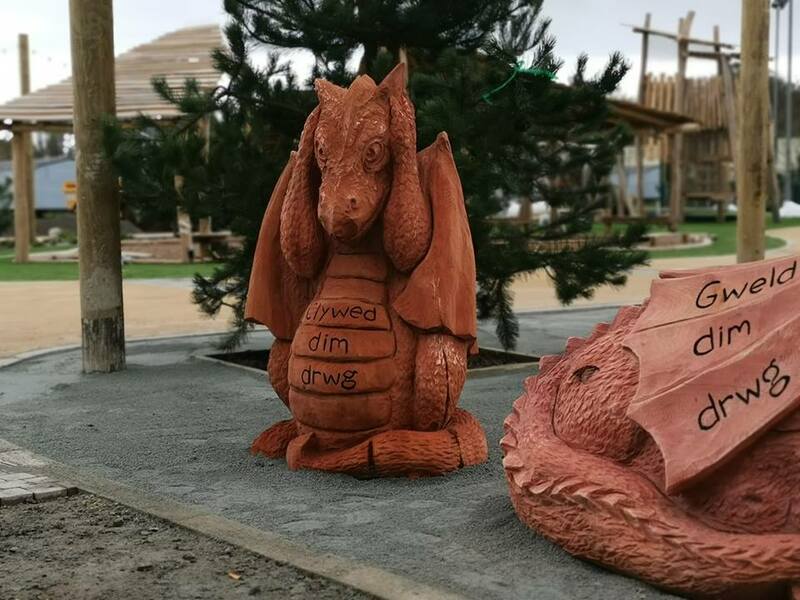 We can now say that the 12 sculptures are safely in their new home, ready for the warmer weather, the upcoming Easter holidays, and all the extra people we hope will choose to spend some family time exploring outdoors. 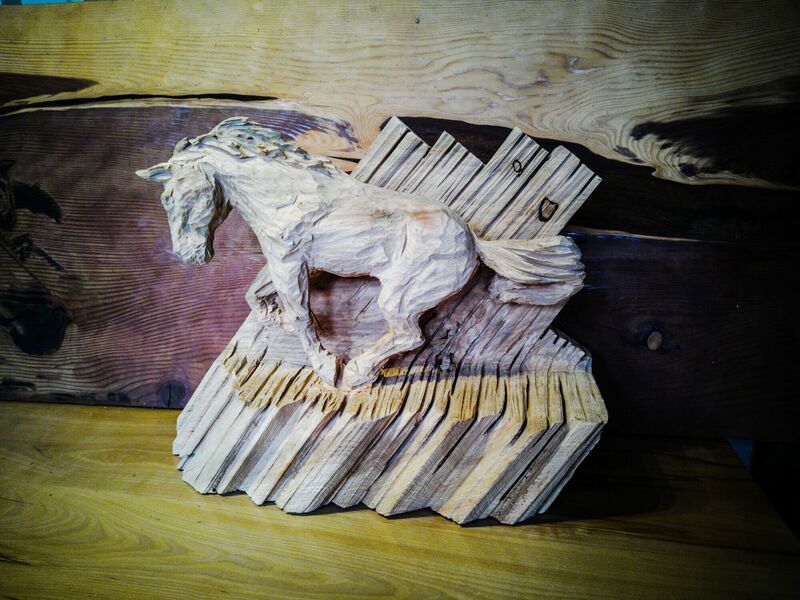 It’s a satisfying feeling to see a sculpture go from a sketch and a proposal, through the process of bringing it shape and life in the timber, to the final stage of seeing it in its new home, where often, sitting it its ‘right’ environment seems to bring more life and colour to the piece. Looking at these montages, what do you think? 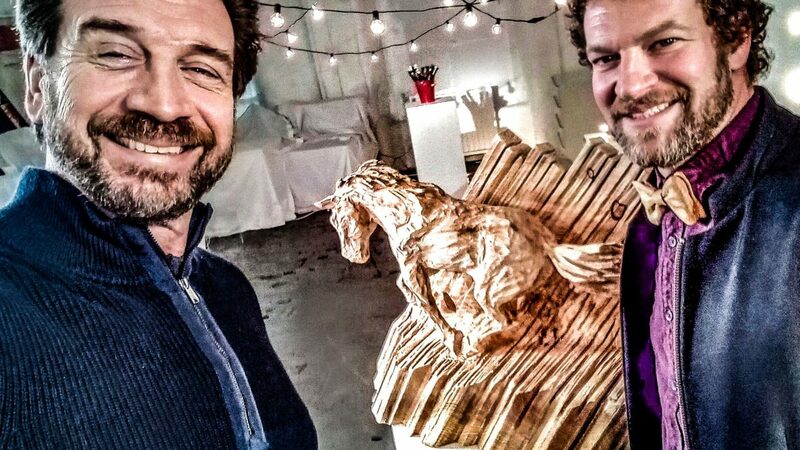 It’s also a privilege for us when our art also serves a greater purpose. 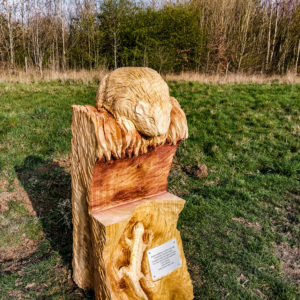 We believe art will always have purpose for its own sake, but in the case of this sculpture trail, it also serves to encourage people (children especially) to finish a walk when it might be more tempting (if your kids are anything like some of the ones we know!) to return to a game of Fortnite, or for the grown ups, return to the to-do list of jobs around the house! 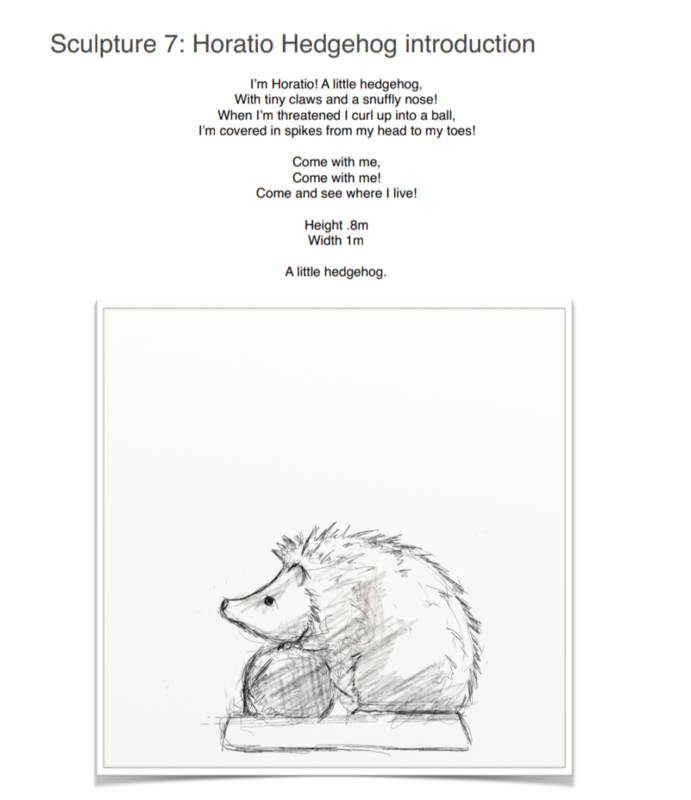 The animals themselves reflect the local population and help raise awareness of the environment around us, and the stories help educate the reader about what we can do to help steward and protect that environment. 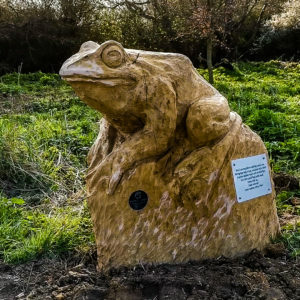 We hope that as people wander these two trails, not only will they enjoy finding and viewing the sculptures, but they will also warm to the characters and feel inspired to take small steps to help protect their beautiful surroundings. 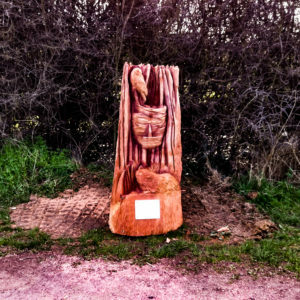 We’ll leave you with the full range of sculptures in their woodland setting, in the order of the stories. 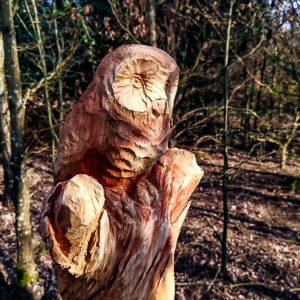 If you happen to be walking through Page’s Wood why not take a photo with the animals along the trail, and tag us in it. We’d love to see you ‘meeting’ our timber friends, and hear what you thought! Well, it was the first day of Spring this week and that means our thoughts (or at least the shop displays, even if we haven’t quite caught up!) turn to longer days, birds singing, sun shining, walks in the park, nature bursting into new life, and all the cute and fluffy newborn animals! People in the streets seem more smiley as the weather warms, and even those wet, rainy days seem better as the newly budded blossom on the trees and the touch of colour of daffodils and tulips springing from the ground remind us of the hope of new life that comes after a Winter – whether literally or metaphorically. 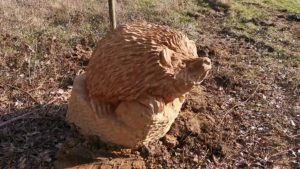 To mark the shift in season, we’re bringing you some ‘Spring themed’ carvings this week as well as (hopefully) some inspiration for your own gardens! 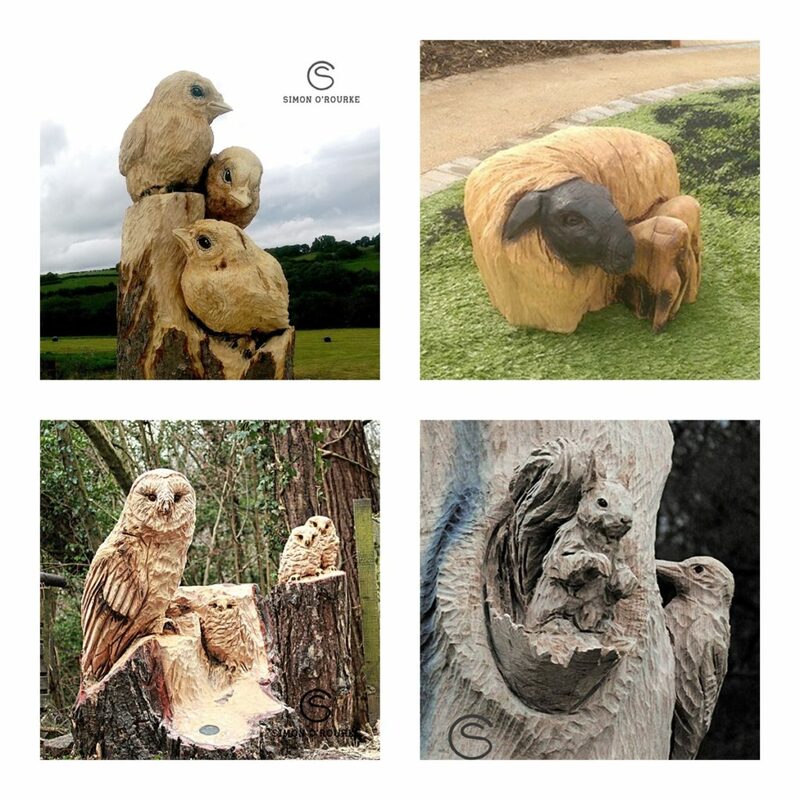 Featured above are some ‘animal family’ or ‘new life’ carvings Simon has completed in the past. It’s definitely not an easy thing to make something that is so small and detailed in real life into something this size whilst keeping it realistic (like the sheep). Shape alone doesn’t work unless the desired result is something very modern and stylised, so what we see here – especially in the birds – represents a lot of time spent on detail and texture. As well as the change in weather, we’ve noticed the supermarket aisles filling up with chocolate (anyone else looking forward to April 22nd when it all goes on sale???!!!) 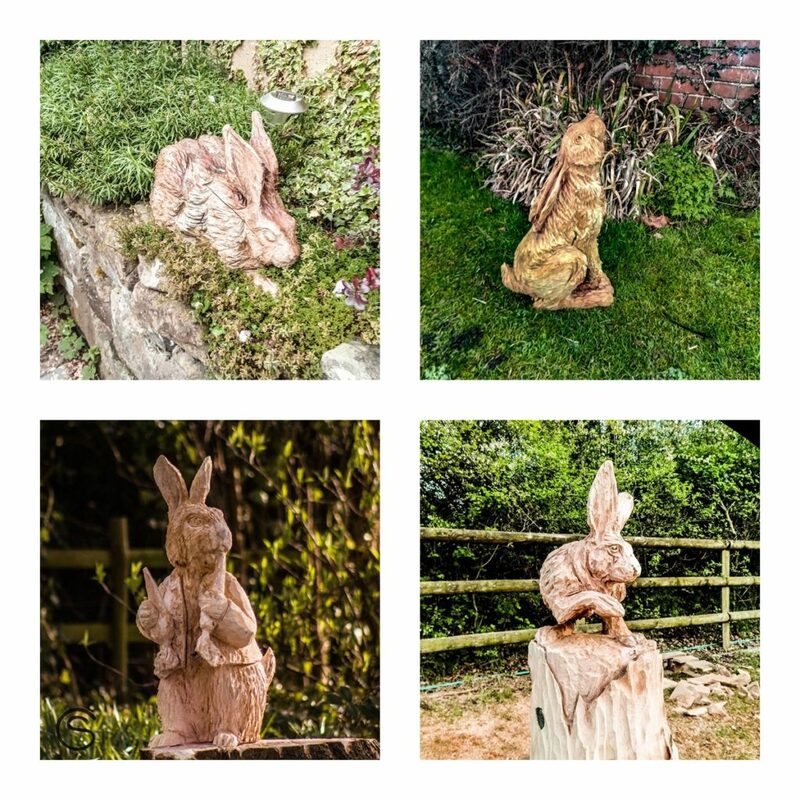 which means we also can’t help but think of Easter, and the ‘bringer’ of all that sugary goodness – the Easter Bunny! 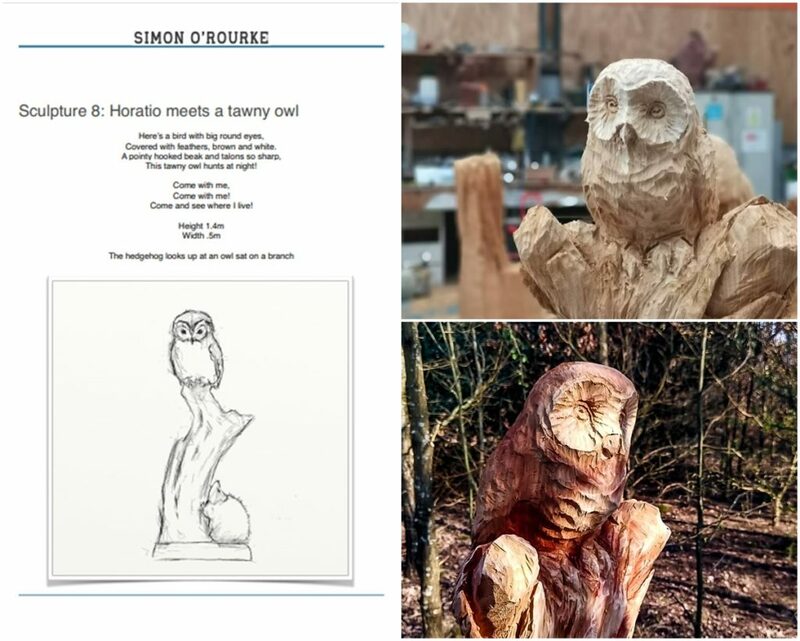 As carving in a material like wood lends itself beautifully to garden ornaments, woodland trails etc, it’s no surprise that Simon is no stranger to our leporine friends, whether real or imagined…..
Our teams are also no strangers to the garden ‘Spring Clean’, and if you’re anything like us, are only just starting the real work of cleaning up the garden after winter, and beginning the preparation work that will pay off in summer when it’s all organised and in bloom, or in Autumn when you reap the harvest. 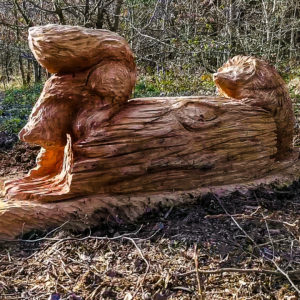 If you find storm damaged trees or pieces of timber in your garden as part of your clean up, or after cleaning up, find yourself with some spots that somehow don’t seem complete, why not consider commissioning something unique from us? 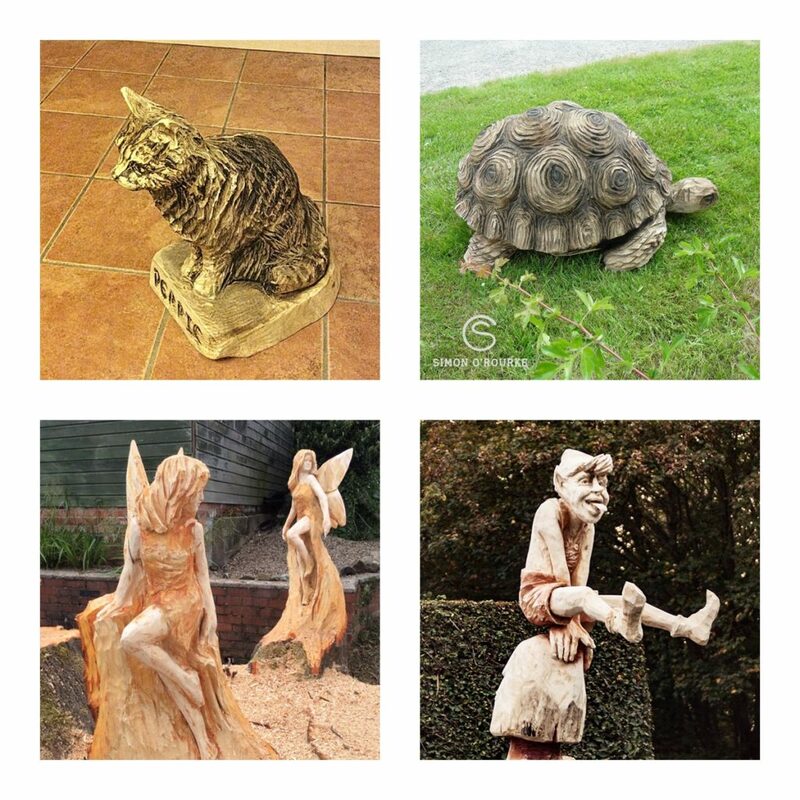 Whether a loved pet, favourite animal, creating your own whimsical fairy garden or adding something with a touch of humour, we’re sure Simon can create something that will be the perfect completion to your garden Spring Clean up. We hope that whatever the start of Spring has looked like for you, that it’s one that, just like the season, is full of new life and hope. 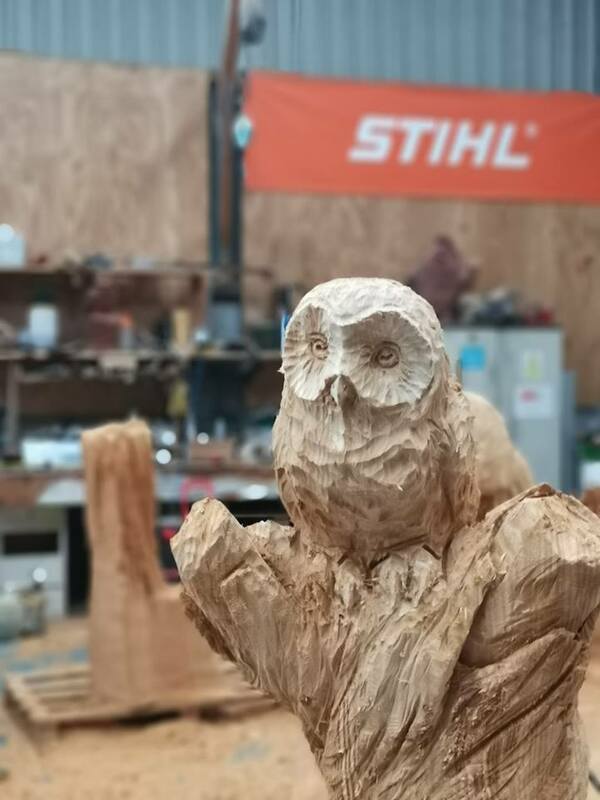 This month so far, Simon has been spending time working on 12 sculptures commissioned by The Forestry Commission, which will form two sculpture trails scheduled to be installed in Page’s Wood in Upminster at the end of the month. The woodland itself is the largest in the area, boasting close to 183 acres of land, 100,000 trees (can you imagine having the job of counting them?!) 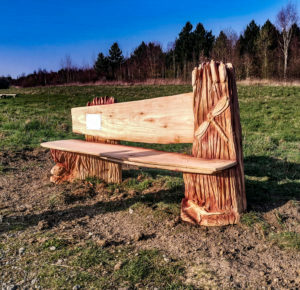 close to 7km of path for walkers, cyclists and horse riders, and a rich variety of different habitats for wildlife. 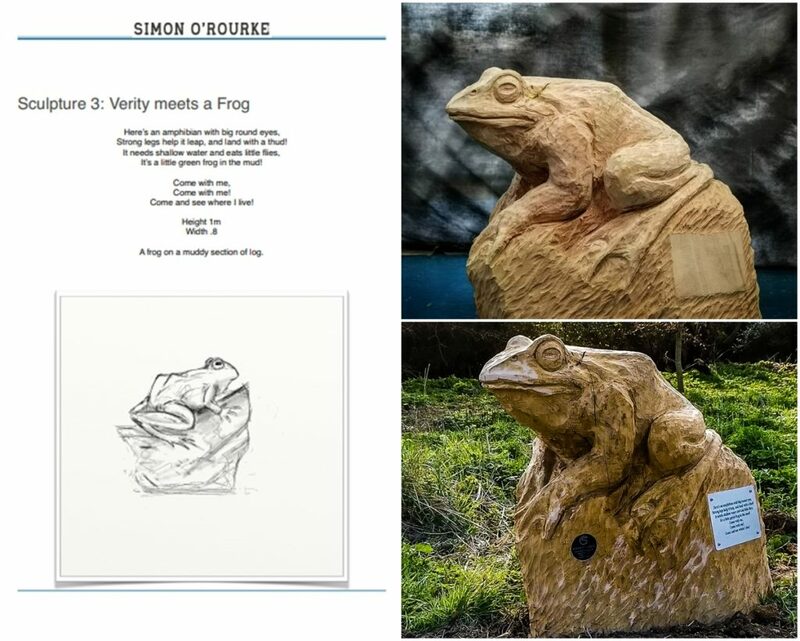 Simon’s sculptures will join a host already in place that were designed by local children, and are intended to draw people in, and encourage them to not only give a reason for taking a walk, but also to help educate and encourage people to learn more about the area. 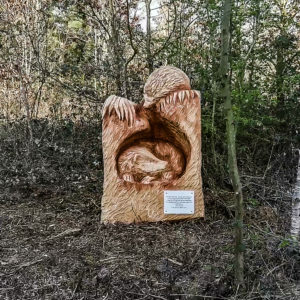 Commissions like this don’t happen overnight, so we thought we would use this blog to share some of the process, before revealing the finished trail once it’s installed later this month. Projects like this are a great fit for us. 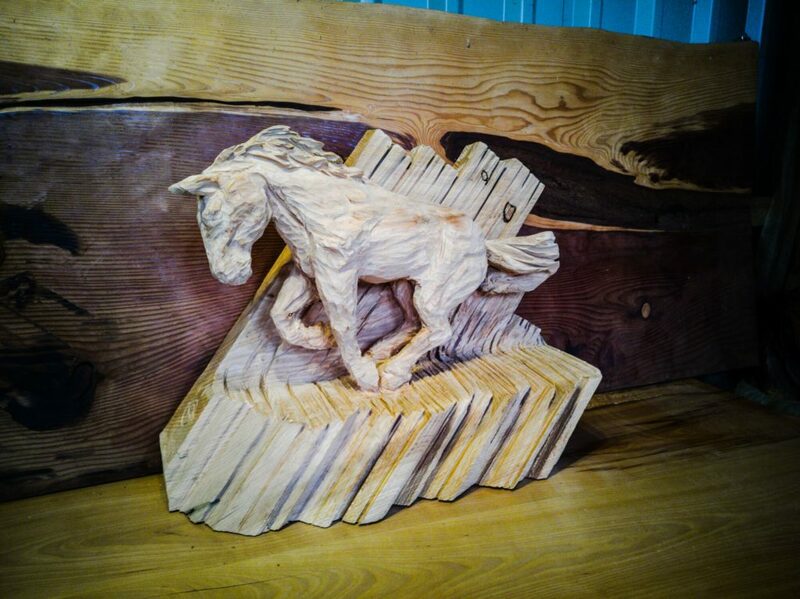 Not only does Simon carve amazing animals full of texture, expression and character, but the thinking and vision behind the project is an extremely good fit for the wider team. Simon and his wife Liz enjoy spending time outdoors, and in their daily lives consider how to steward well and care for, the resources we have. Not only that, but Liz is also a qualified Forest School teacher, so the educational aspect of this project – teaching about the area, encouraging people to connect with the environment and wildlife, and to think about how to look after it – is something very much on her heart too. She is also a writer at heart with vision and ideas for using story to connect with and teach children – Cue some team work…..!!!! In the early stages, there are many emails back and forth considering budgets, safety, and legal aspects as well as the proposal for the project itself which includes details on timber to be sourced. 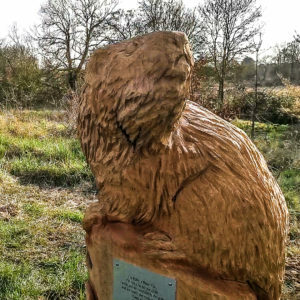 For this commission Simon and Liz had to focus on two separate trails through the area, and chose to tell the story of the habitat through the eyes of two key characters: Horatio Hedgehog, and Verity the Water Vole. 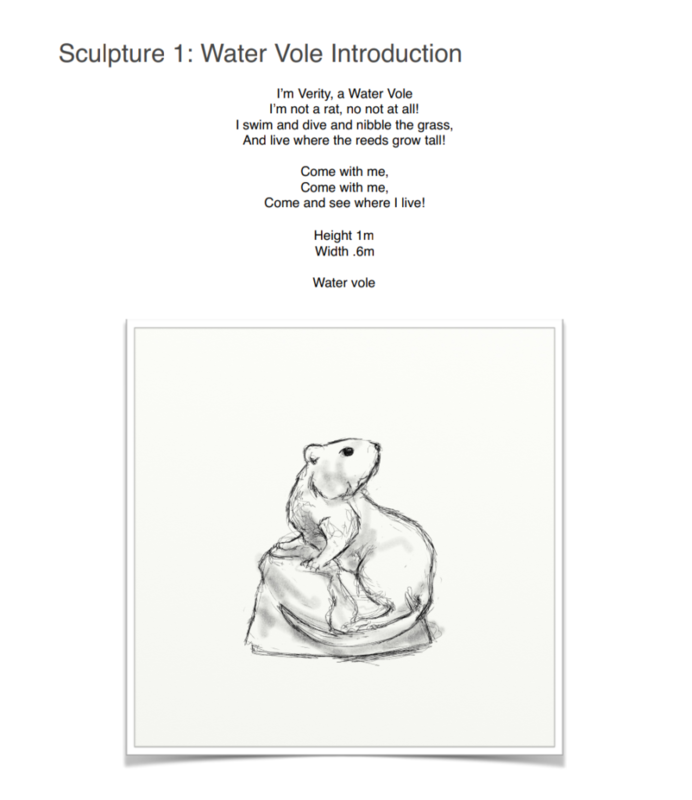 Using poetry that can easily be read and understood by readers of all ages and stages, they introduce the viewer to key animals and aspects of the environment, sculpture by sculpture. 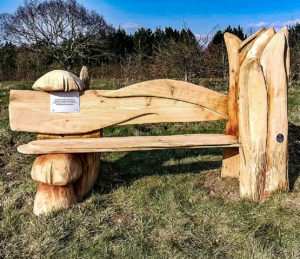 The hope is, that as well as enjoying the art for art’s sake, the trail will make the viewer aware of the wildlife that inhabit the locality, and show the viewer how we can look after the environment, even through simple acts like taking litter home and supporting the vital work of the Forestry Commission. 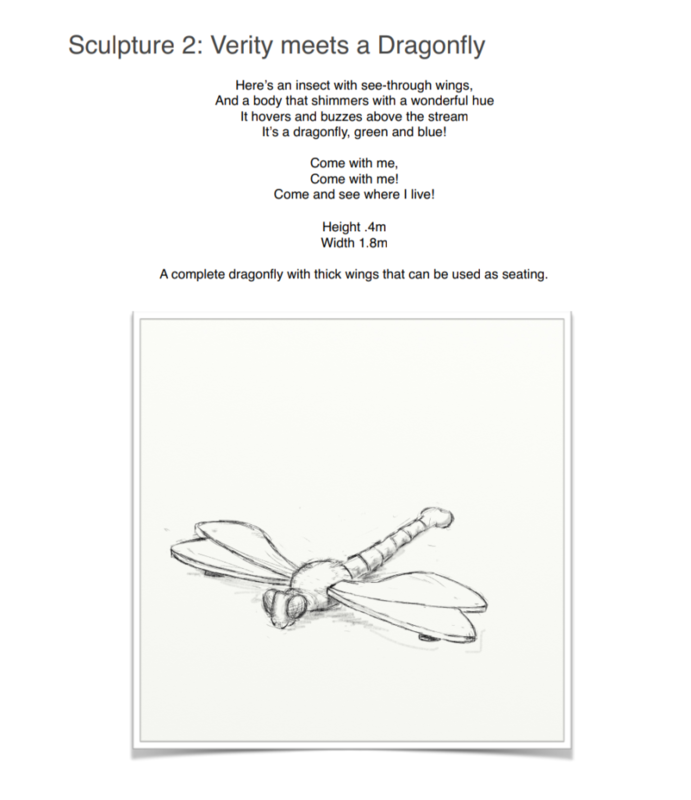 Have our concept sketches caught your eye? 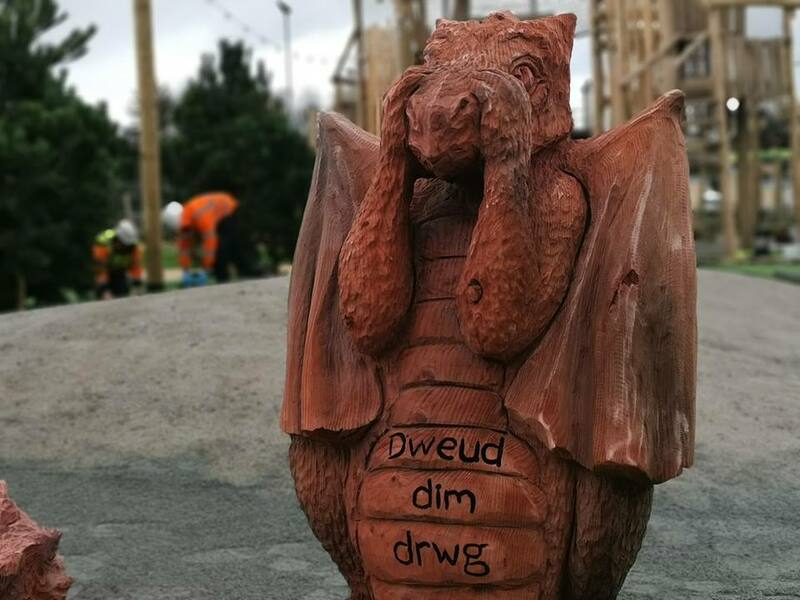 Don’t forget to come back and visit us to see them realised and installed! 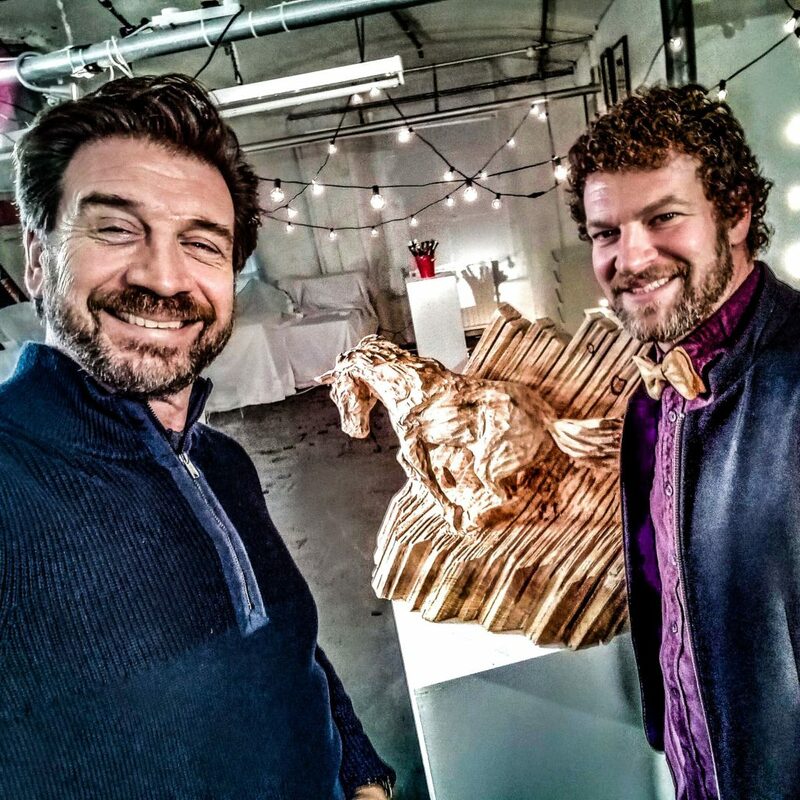 Toward the end of last year, Simon received one of his most exciting projects to date – the opportunity to take part in HBO’s #forthethrone campaign, promoting season eight of the popular TV series. 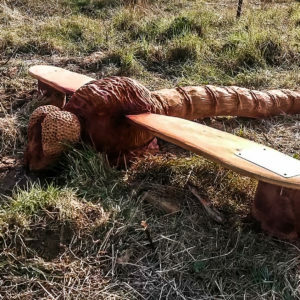 18 artists from around the world were selected by HBO, who then sent them an original prop from the Game of Thrones series, and each artist either had to come up with a way to make them ‘their own’, or received a brief for the prop. 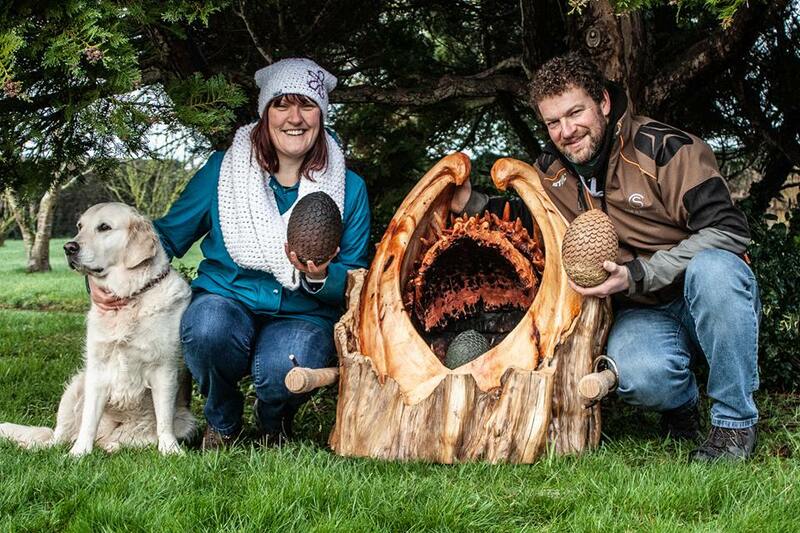 Simon was sent the three dragon eggs that were given to Daenerys as a wedding gift during season one. Not only was it awe-inspiring to be able to see and hold in person such an iconic object, but as pieces of art they were even more beautiful in real life with their detailed scaly texture and incredible ombre, blended metallic colouring. 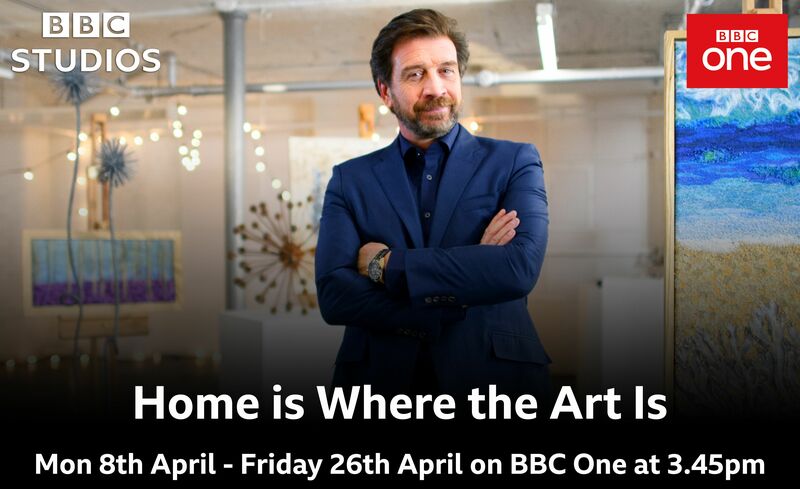 His task was to create a new casket for the eggs that would not only be both functional and aesthetically pleasing, but would also tie-in with the era and location of the series. 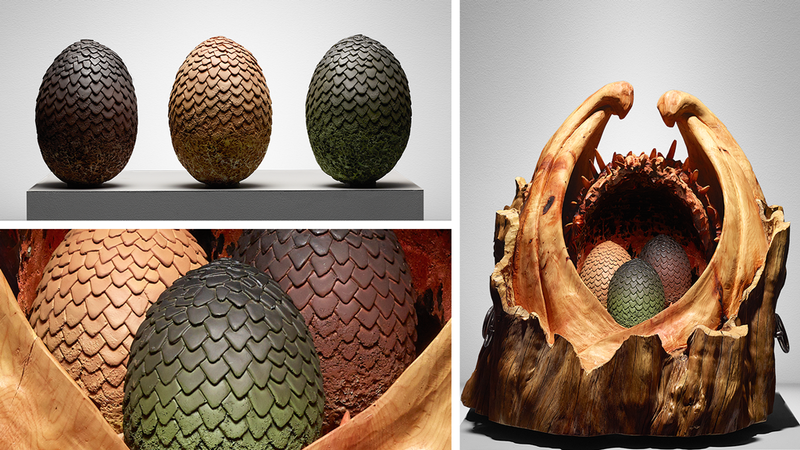 You can see Simon receiving the eggs in this video of the making of the Dragon Egg Casket. 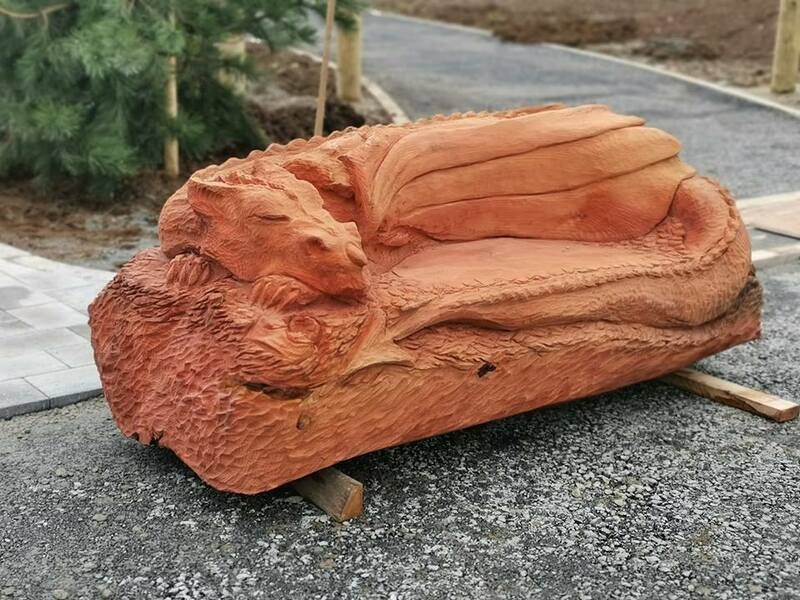 Simon has had lots of experience of the years in carving dragons of all scales and for all projects, so the ideas for shape, texture, and details were flowing. There were some very practical considerations though which added to the challenge. The casket had to actually be large enough to hold all three eggs. It needed to be able to open and close without damaging the eggs. 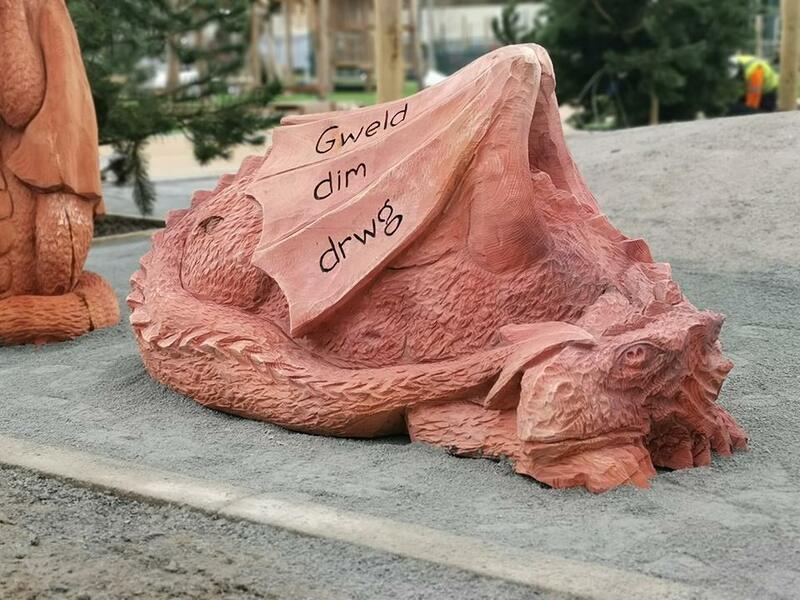 The eggs had to be held securely in place to withstand travel – both in real life to get it back to HBO, but also in the series, the eggs are a gift from far away and would have to be carried to the wedding. The casket needed to be weatherproof, as in the series, it would have needed to withstand various weather conditions. It needed to have some way of being transportable. It needed to sit on a flat surface, or have some additional stand or similar that would enable it to do so. The casket was carved out of yew, which in itself had some beautiful markings and colouring, and the design was actually altered as Simon went along to allow this to be seen. An added bonus was that this colouring and texture was reminiscent of Danerys’ hair! 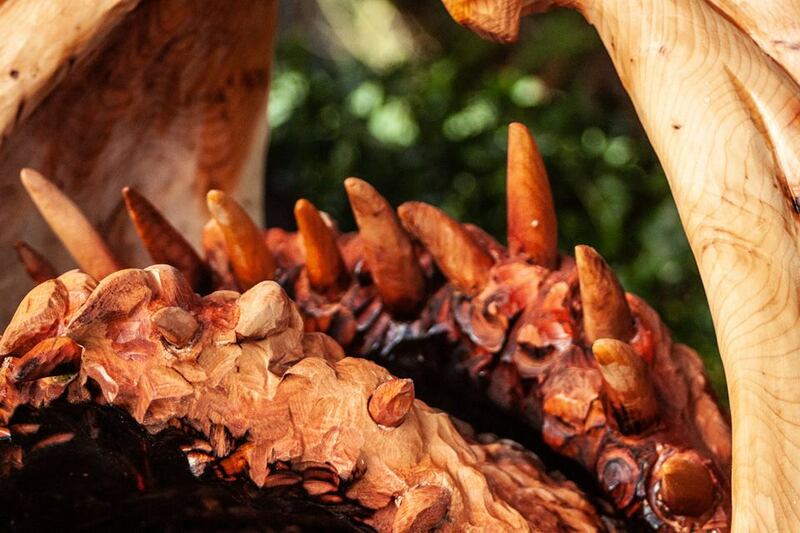 Seemingly random Dragon teeth throughout the interior hold the eggs securely in place, with the random placing, irregular shapes and texture lending the feel of danger or uncertainty. There is an organic, unsymmetrical feel to the lid which snaps shut to protect and hide the eggs, “Like a mutated dragon”. 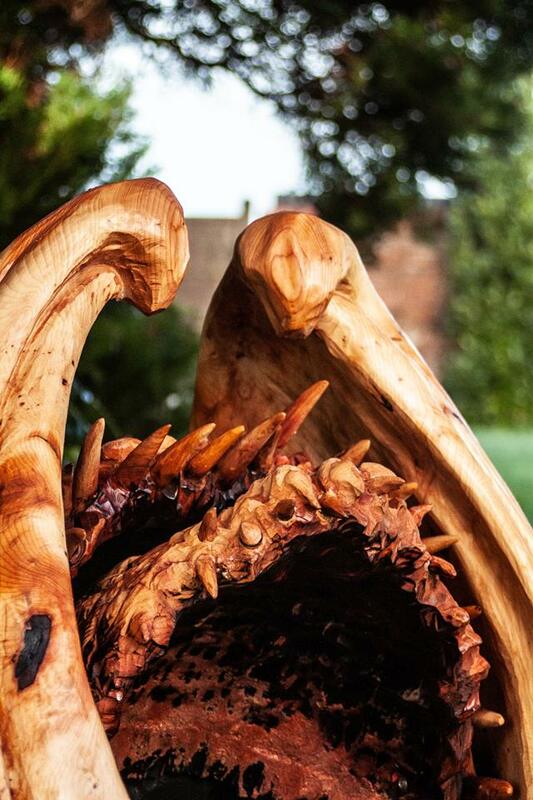 Again, the random placing and irregular shaping and direction of the teeth adds not only an organic feel, but heightens the sense of danger. Whilst feeling dangerous, the scales and the misshaping of the teeth invite touch, in the same way the eggs themselves do. 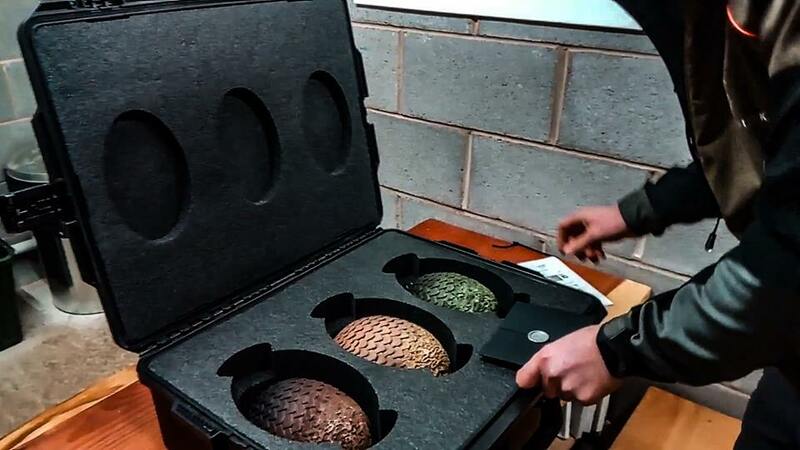 Just as the eggs are experienced differently in the series, with Daenerys being the only one who feels life within them, (and is drawn inexplicably to them), each person will experience or focus on something slightly different as they are drawn to feel the texture of the casket. Image taken from HBO For the Throne campaign, ‘The fire collection’. Simon is quoted as saying the biggest challenge was “getting a lid mechanism to cover the eggs when closed, sit nicely on the edges of the wings, and not touch the eggs when opening and closing” In retrospect however, we wonder if his greater challenge was actually keeping such an exciting project secret until now! 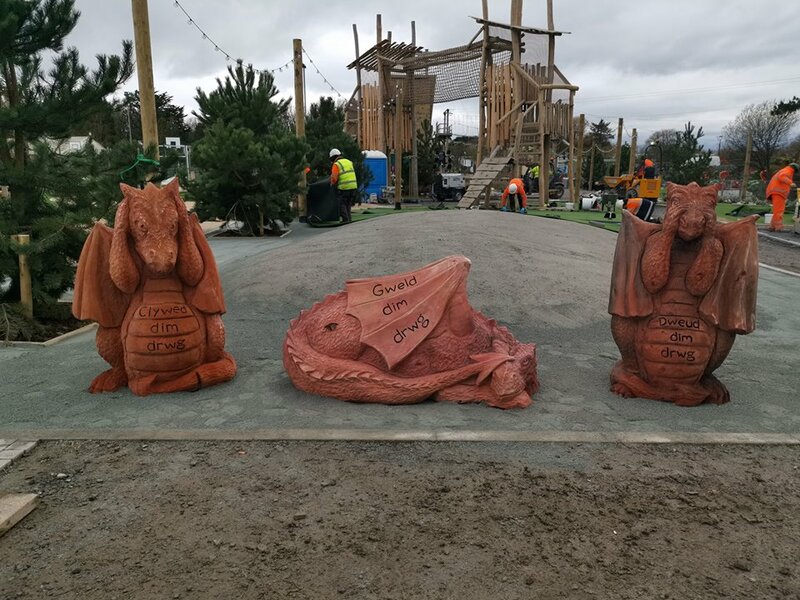 We’re all excited here at Simon O Rourke Tree Carving to see the rest of the pieces produced by the other artists, which will be revealed in a series of five collections leading up to the release of the newest season of Game of Thrones. This campaign isn’t just for professionals though! HBO would love to see other work inspired by the series, so you are invited to post your own projects online. Simply use the hashtag #forthethrone for the opportunity for your own work to be included in the campaign.